When living in a rental home or apartment, you don't have the liberty to make major changes inside or outside the house. If you're unhappy with a certain room or some of the furnishings and you want to make alterations, you're likely out of luck. However, you can get away with fixing up some of the less notable appliances and furnishings. 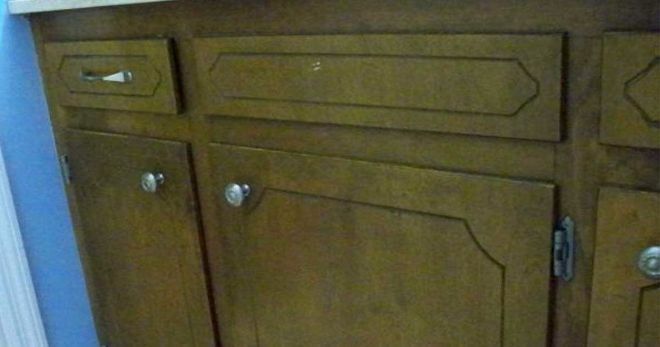 In this article, we will be reviewing three budget-friendly cabinet makeovers. Prior to purchasing the home, Debbie and her husband were renting the place. Much to Debbie's dismay, the cabinets were original and in need of a facelift. She wasn't sure how to make improvements without spending too much money and making major changes. It wasn't until she was perusing Hometalk that she came up with an idea. 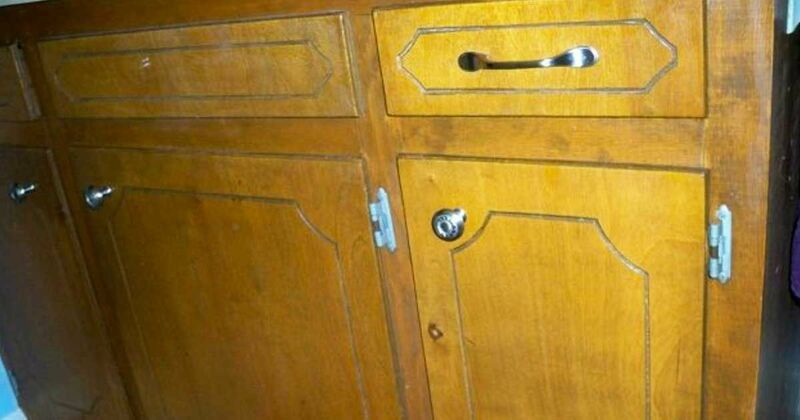 Debbie noted that all three cabinet doors sported a different shade of brown. Debbie applied the 'less is more' concept to this home improvement project. 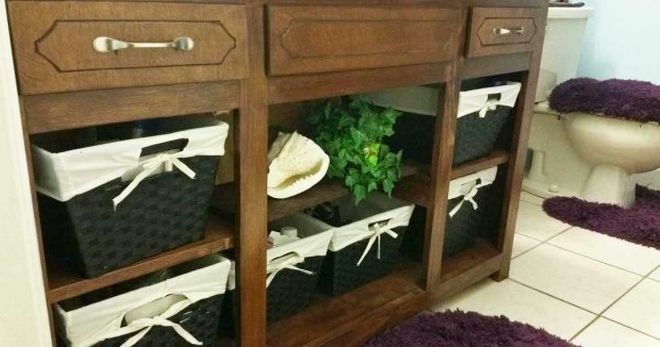 She decided to remove the cabinet doors and place baskets in the inserts. She stripped the wood and stained it to achieve a bit darker color. Check out the finished product below. 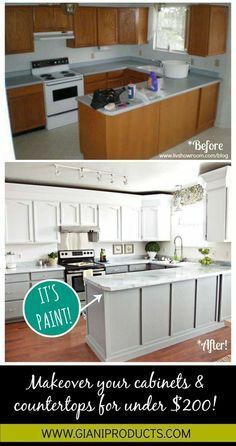 The following two projects showcase the difference a little bit of special paint can add to your kitchen. 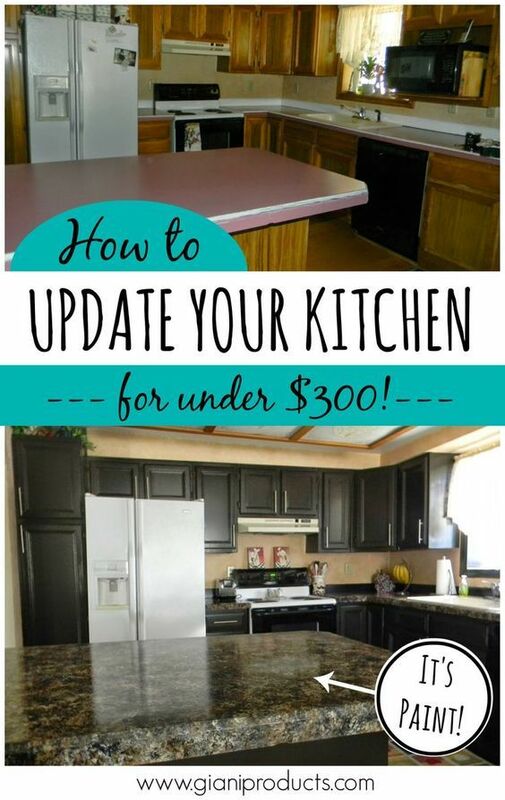 Yes, indeed you can paint your countertops to give the effect of granite! Impressed? Be sure to SHARE these ideas with family and friends on Facebook!